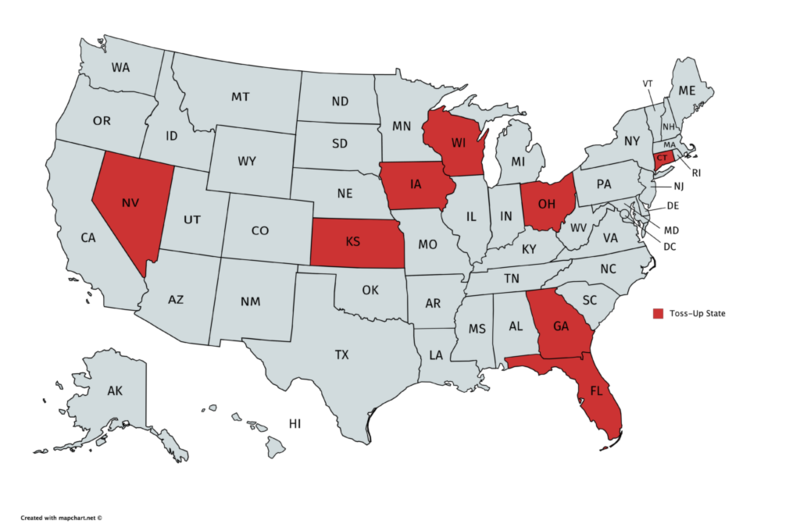 On November 6th, 26 states, including California, will elect governors. How will election season affect business investment in the state of California? As head of the executive branch, the governor exercises considerable influence over legislation and considerable discretion over regulation and permitting. In a state where the identity of the future governor is in doubt, a business faces uncertainty over the policy environment in which any proposed investment would operate. In an effort to avoid risk, businesses facing an uncertain policy environment will often delay investment until that uncertainty has been resolved. 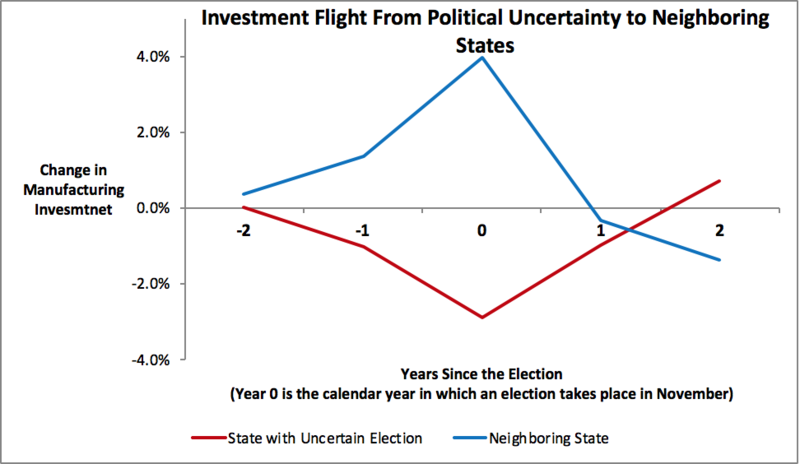 In recent research, Professor Shelton finds that states where elections are a toss-up will—as a result of the attendant uncertainty—suffer a 3 to 6 percentage point decline in manufacturing investment relative to years without an election. Unfortunately, this investment is not simply delayed as companies wait for the resolution of the election. It is permanently lost to competing states. California leans strongly Democratic. And while open races are typically more competitive than races with an incumbent, Real Clear Politics currently projects the California gubernatorial election as a safe Democratic race. Moreover, while there are disagreements about policy within parties, the primaries have passed and Gavin Newsome is the lone Democrat is on the ballot. Newsome’s policy positions and fundraising ties are well known. Thus there should be relatively little uncertainty regarding state policy riding on the results of the California elections. On the other hand, both Real Clear Politics and the Cook Political Report currently rate the gubernatorial election in neighboring Nevada as a toss-up. Nevada is generally considered a lower cost-of-business state than California. However, a close election race adds an element of uncertainty regarding policies going forward. As a result, some businesses needing to invest this year and considering whether to invest in California or Nevada may well be choosing the more predictable option of investing in California. Other industries likely exhibit similar responses, but state-by-state data are harder to find. Connecticut, Florida, Georgia, Iowa, Kansas, Wisconsin, and Ohio are also rated toss-up by both sources.